Fantastic prints and twisty layered looks at Rodarte. 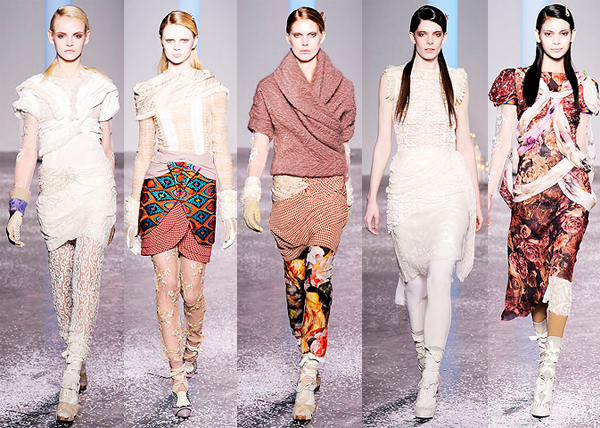 From the Rodarte Fall 2010 collection. See all the looks on style.com. Lovelovelove the “churidaar” feel of the leggings in the second look. WANT the wrap thingy in look three.